As we head into the next Los Angeles Lakers season, and a new era in Lakers basketball, the staff here at Lakers Nation has decided to take a look back and rank the 10 greatest Lakers of all-time. The staff put together a list of the most significant figures in franchise history based on accolades, achievements and statistics. While there were many deserving candidates, the group was ultimately narrowed down to 10. The rankings were determined by solely focusing on each individual’s accomplishments with the Lakers. Without further ado, here’s selection no. 3. 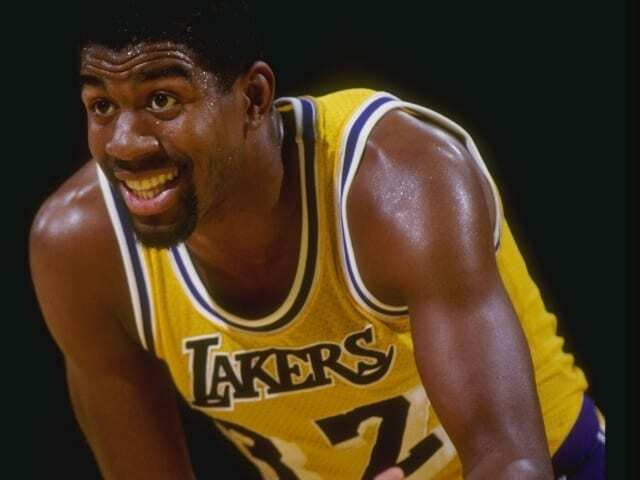 Perhaps the most popular Laker of all-time is Earvin ‘Magic’ Johnson. His nickname is Magic for a reason, because what he did on the basketball court truly was exactly that. The Lakers drafted Magic with the top overall pick in 1979 after he won a National Championship at Michigan State. Alongside Kareem Abdul-Jabbar, Johnson led the Lakers to the NBA Finals in his rookie season. The Lakers took a 3-2 series lead over the Philadelphia 76ers, but it came at an expense as Abdul-Jabbar severely sprained his ankle in Game 5 and was unable to play in Game 6. All the rookie, Magic, did in Game 6 was start at center, and score 42 points to go along with 15 rebounds, 7 assists, and 3 steals in a 123–107 win, securing his first of five championships with the Lakers in his illustrious career. He became the only rookie to win the NBA Finals MVP award. When Pat Riley took over as head coach of the Lakers in 1981, ‘Showtime’ was officially created and the Lakers, led by Magic, became must-see TV. They won another championship in 1982, once again defeating the 76ers in six games. Magic and the Lakers’ rivalry with Larry Bird and the Boston Celtics came to a head in 1984, with the two teams squaring off in the Finals for the first time. The Celtics won the first matchup, but the Lakers won the next two, forever giving him the advantage over Bird. 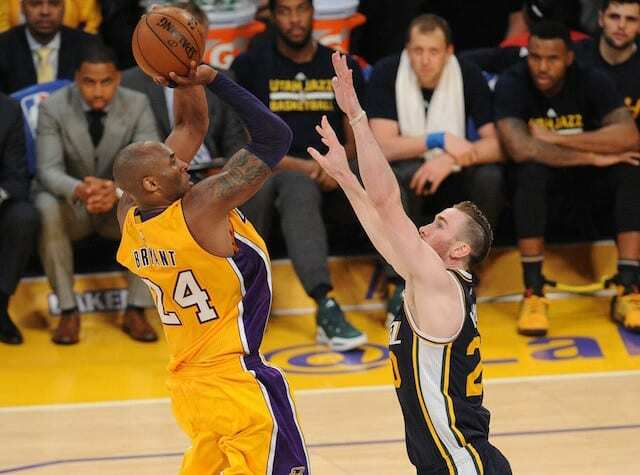 After the second victory over the Celtics, the Lakers would return to the Finals the following year. There, they would defeat the Detroit Pistons in a grueling seven-game series, giving Johnson five championship rings in a span of nine years. Overall the Lakers made the Finals nine times in Magic’s first 12 seasons. Before the 1991-92 NBA season, when Magic was just 32-years-old his career came to an abrupt end as he announced that he had HIV and was retiring immediately. After a short coaching stint with the Lakers that did not go as planned, Magic actually returned as a player in the 1995-96 season and averaged 14.6 points, 5.7 rebounds and 6.9 assists in 32 games. The Lakers went 22-10 in those games and Magic finished 12th in the MVP voting in what was his last hurrah as a player. Magic purchased a five percent share of the Lakers in 1994, so he remained very involved with the organization even after retiring. Since his retirement, Johnson has become a very successful businessman, running Magic Johnson Enterprises, a conglomerate company that has a net worth of $700 million. Magic is also a part-owner of the Los Angeles Dodgers, Sparks and Los Angeles Football Club. 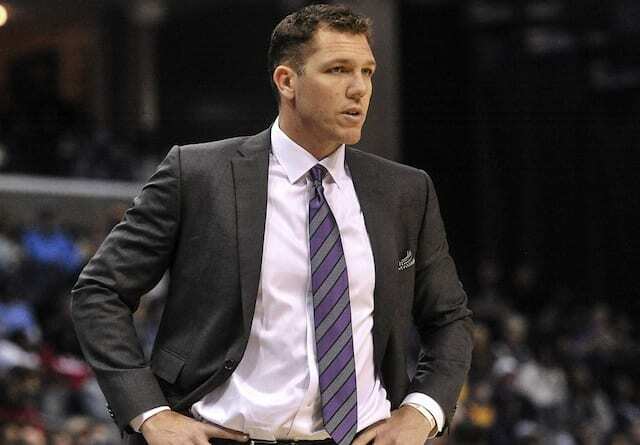 He gave up his ownership stake in the Lakers, but returned to the organization last season when owner Jeanie Buss put her trust in him to take over the front office as president of basketball operations. 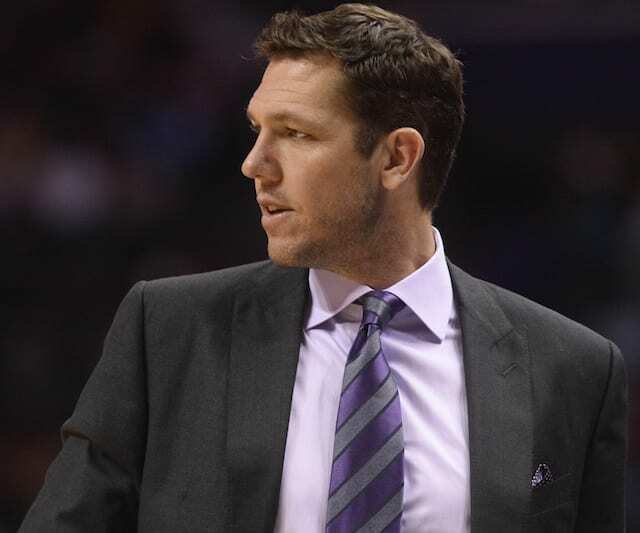 In his short time at the helm, Magic along with general manager Rob Pelinka have turned around the entire outlook of the organization, leaving fans very excited about what is to come in the future. The accomplishments of Magic Johnson, whether it be him averaging the most assists per game in NBA history, winning five championships and three MVPs, or what he has done in the business world, and even now as an NBA executive, should never be forgotten. Whenever he walks into a room his presence is immediately known, and all it takes is that Magic smile. When it is all said and done, Magic could go down as the most popular Laker of all-time.